This weekend, on Sunday, January 6th, the kick-off to the 2019 season of the DKM German Kart Championship will be officially given with the opening (at 8 am) of the online registration. All the interested drivers can register for the four-grade series: DKM (OK), DJKM (OK-Junior), DSKM (KZ2) and DSKC (KZ2). This year’s championship sees no major changes regarding its calendar with five races spread over Germany, Belgium and Italy. TThe highest German kart racing series comes back with a strong program to offer with its kick-off event to take place on the South Garda Kart Circuit in Lonato from April 12th to 14th. The 1.200-meter long race track will be the perfect location to start this year’s series. 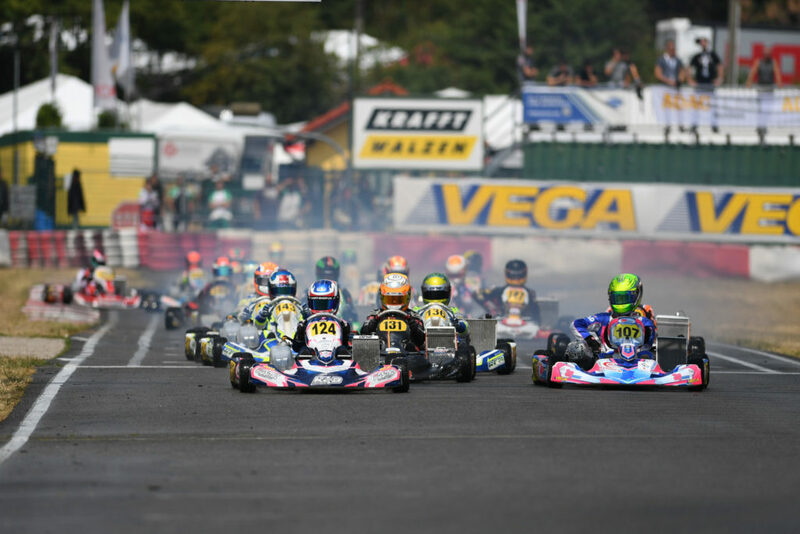 from May 10th to 12th, the next round will take teams and drivers in Germany on the Prokart Raceland Wackersdorf, followed, two months later, by another stop in Germany, this time at the historical track of Kerpen, from July 12th to 14th. The 1.360-meter long track of Genk will once again be part of the DKM calendar, hosting the kart racing series of the German Motorsports Foundation (DMSB) from August 2nd to 4th. If the “Home of Champions” could become a title-decider, the fifth and last round of the German Karting Series will be held back on home soil at the Schweppermannring of Ampfing, from October 4th to 6th. All four classes at play (DKM, DJKM, DSKM, and DSKC) will run again this season with tires provided by Vega. Additionally, the DKM is providing extensive race-control and 16 hours of live images every racing weekend as well as an extensive sponsoring program. The German Electric Kart Championship (DEKM) will also take place within the framework of the DKM. The first pure Electric Kart Championship last year marked a milestone in the development of kart racing towards more sustainability and innovation. The registration can be done separately on www.dekm.de. The online registration for the 2019 season will start on January 6th at 8 am on the DKM official website (www.kart-dm.de). Everyone who submits their complete registration until the 1st of March 2019 has to pay a participation fee of 2.600€ for the complete DKM, DJKM and DSKM season, while only 2.300€ have to be paid for the DSKC class. Registrations entered after the 1st of March have to pay a default fine of 400€ per DMSB-grade series. The environment- and waste disposal-fee is already included in the participation fee. In 2018, the DKM German Kart Championships saw the following drivers win the much-coveted class trophies after thrilling finales in Genk: Harry Thompson (DKM), Thomas Ten Brinke (DJKM), Emilien Denner (DSKC) and Fabian Federer (DSKM).